common ground : Be Inspired #161: What's Black and White and Spooky all Over? 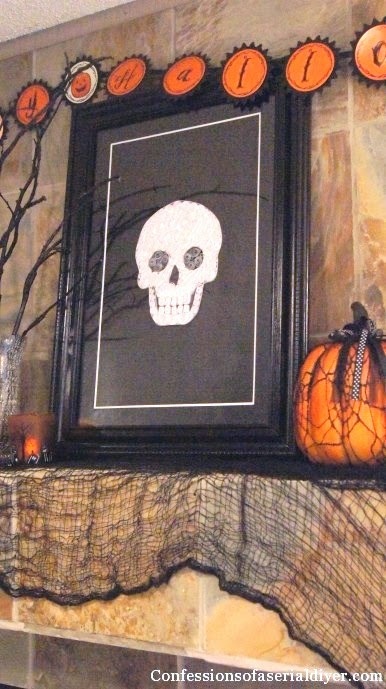 Be Inspired #161: What's Black and White and Spooky all Over? where you can find more inspiration than you can shake a bone at! Even though I don't decorate much for the spooky side of Fall, I DO appreciate a well placed skeleton or bat all the way to a full-on home transformation. I've known Alaina since she started her blog, and one thing we know about her is that she loves the "Spookification" factor of Halloween. She's been busy putting last minute touches on the fun, so please run by Arbor House Lane and see what's happening! Don't you love the eyeballs on the platters? Thanks Alaina for sharing all the fun! Shirley at Houspitality Designs has such a wonderful comfortable porch. She has so many elements I love; cozy furniture, pillows and a beautiful display of pumpkins and mums. I could relax here all day! 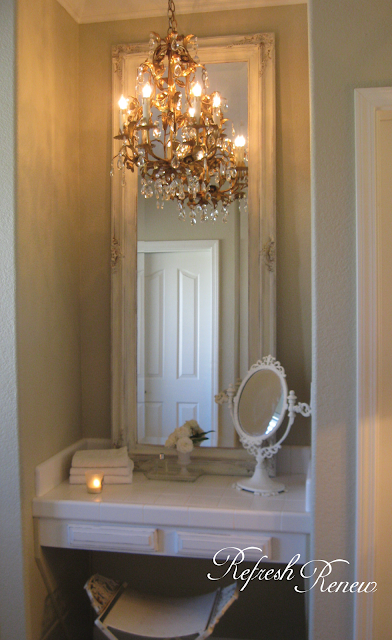 where this gorgeous Chandy and Mirror really do bring new life to the space. 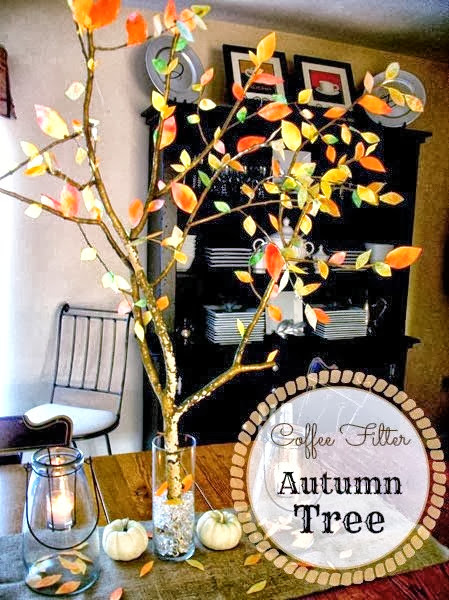 Sarah from Church Street Designs shows us how to create colorful Fall leaves from coffee filters, and then puts together a wonderful Coffee Filter Autumn Tree. 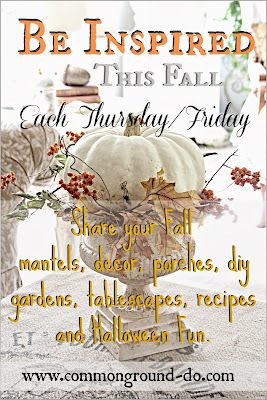 This would be a project the kiddos could get involved with, So pretty, and perfect for Thanksgiving too! I love this vintage Dish Garden from Patti at Ivy and Elephants. Herbs and Ironstone work perfectly together. Mary is one of the most creative gals around, I'd love to get to know her in person, anyone who can put those eyes on an apple, naturally would have to be a hoot! Please no links to Etsy Shops. Please visit a few peeps that are joining in on the party. love having you over to Party! While I was waiting fro your party link up I went through your home tour and just wanted to let you know how much I like your house ~ especially your charming kitchen! We have only been in our new home in Texas for a couple of months and I am working on making the kitchen more of my own. Some of your decorating ideas have really inspired me. Thanks for the inspiration and thanks for the party. Hello again! :) So happy to join your party this week. Thank you for hosting! Debra, these are wonderful features! Thanks so much for hosting each week...glad to link up! Wow Debra, love that spooky house! All of the features are just fabulous! like you say, no bones about it inspiring! Oh I'm totally loving the black & white Halloween from Alaina and will have to check out her blog now, thank you for sharing dear Debra! 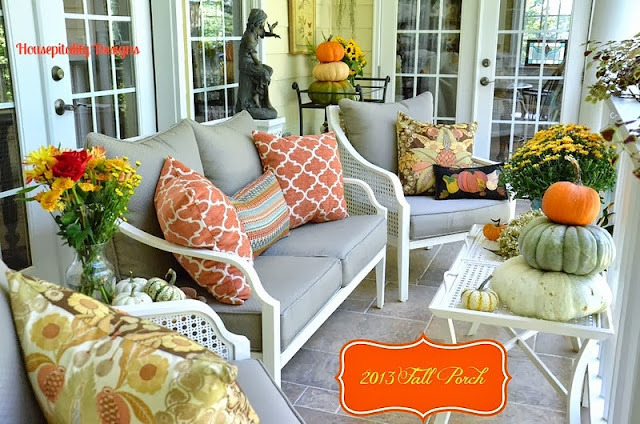 I'm sharing some more black & white Fall and Halloween decorations too this week. Sending very Happy inspired weekend wishes to you! 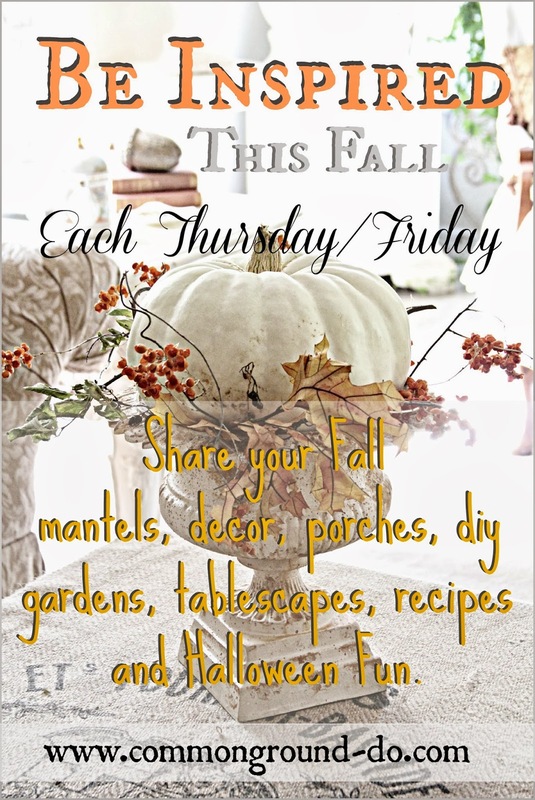 So many beautiful choices in decorating for Fall-I love the endless possibilities and all of the great creativity! Spooky and spectacular inspiration! Thanks for hosting and have a great weekend! Thank you for featuring my Coffee Filter Leaves! Made my day! Hi Debra! Thanks SO much for sharing my dipped apples & Skeletini! I'm honored to included be among all these inspiring features! Thanks for hosting, Debra! Hope your week is going well. Loving all the ideas! I prefer to decorate in Fall/Harvest themes, but so love to look at all the spookies others decorate with! Thanks so much, Debra, for sharing my Vintage Halloween Tree. Love all the other features...so much inspiration out there. Thanks for hosting what is always a fun party. hi Debra, I know this sounds sort of cliche but I really do love the features you chose this week! That Dead and Breakfast is Hilarious! So much creativity out there, can't wait to snoop around! 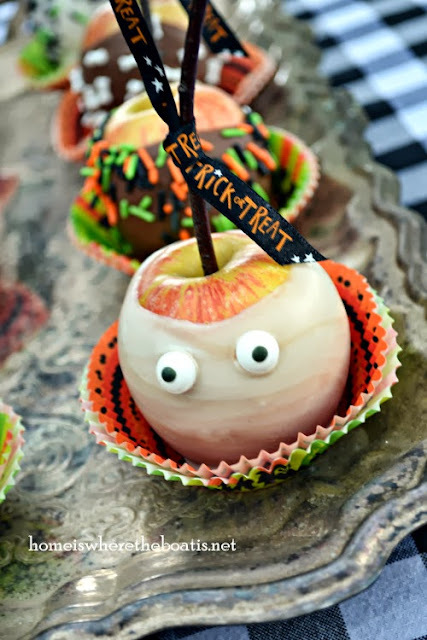 Love the spooky Halloween features and other fall ideas. Thanks for the party! Always enjoy your features Debra. Thank you for hosting. Your features were wonderful. Fall and Halloween fun. My link is a Christmas or winter project! Sorry I am a Minnesotan! 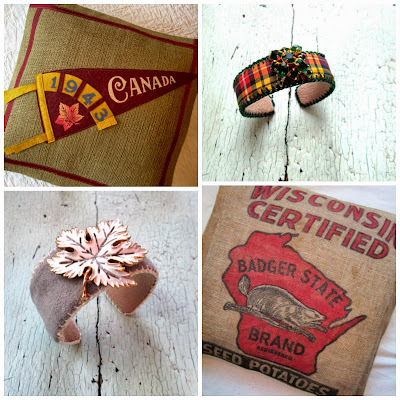 What fun and lovely inspiration this week! Thank you for hosting! Debra, thank you for hosting. Hope your weekend is a special one. What great features! Thanks for hosting. Thank you for hosting the party! Love what features you picked out to share. Hi Debra, Thanks for the party! Thanks so much for hosting...always love coming over and joining in. Great features! 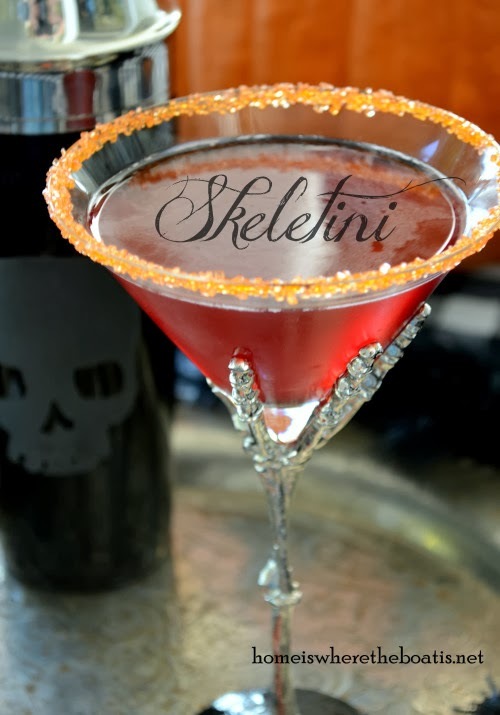 Could use one of those "skeletini's" right now!! Thanks for hosting this great party! Thanks for the party! I don't do much Halloweening any more, but it is fun to look! Hello Debra! What inspiring features, even thought I am not in the mood for Halloween yet :) We've just celebrated Thanksgiving and I am excited to share our little afternoon picnic. Thank you for your endless enthusiasm! Debra, thank you so much for featuring my little dish garden! I am thrilled that you liked it. Always a pleasure to link up and join in the fun! love alaina's spooky decor! have a great weekend! Debra, coming over here for a little spooktacular inspiration is just like looking in my trick or treat back the morning after. Always some delicious eye candy to be found and even the "good for me-healthy" apples can be found looking back at me! Fun, fun, fun! Good Morning, the features are spectacular, love the decorating, and what a great mirrored chest. Can't wait to do more exploring. Thank you so much for hosting, and have a great weekend. ...LOVE the eyeballs on the ironstone plates!! thanks for hosting a great fall party Debra! Thanks for hosting this great party, dear Debra! The images introducing your latest "Be Inspired" are so inspiring!